When it comes to animals who bear both impressive features and impressive colours, its hard to beat the peacock! Between the way their tails fan out impressively and the gorgeous colours you’ll find on their feathers, it’s no wonder many kids take a shine to peacocks when they see them in picture books or on television shows. 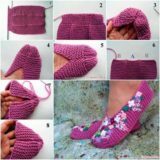 Naturally, the whole combination makes for a great crafting opportunity! 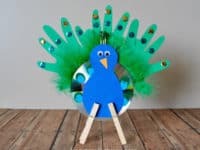 Check out these 15 super fun and totally creative DIY peacock-themed crafts for kids (that we’re almost tempted to starting making ourselves)! 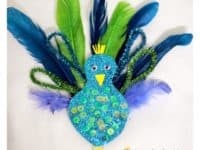 Okay, so maybe a real peacock’s tail doesn’t sparkle quite as much as sequins do when they hit the light, but the idea sure does communicate how impressive it is when the birds fan their feathers! 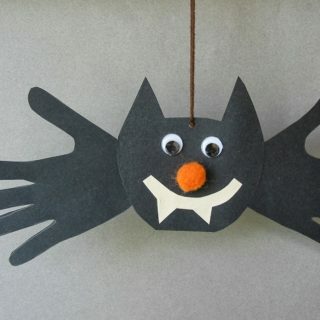 Cut the body out of some construction paper and make the tail from a painted paper plate. 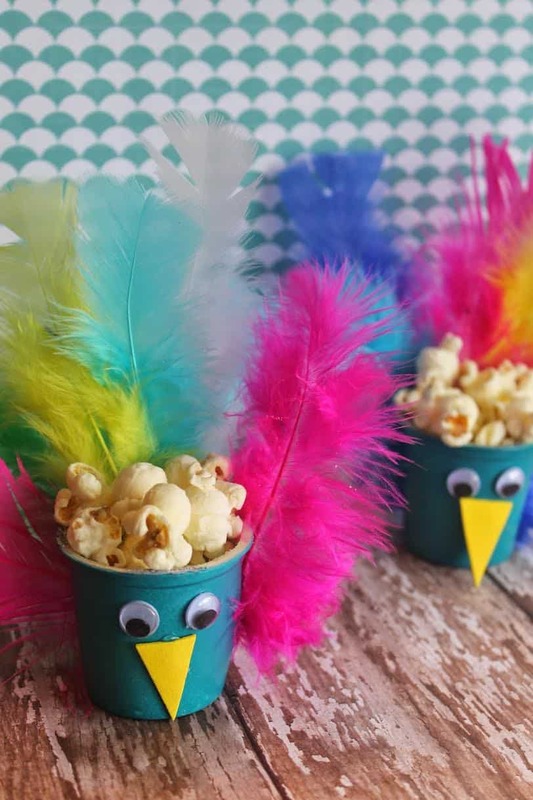 We love how I Heart Crafty Things even used tooth picks with blue fringed plastic ends to make little head feathers, just like the birds have in real life! 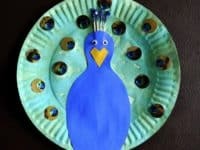 Do you like the idea of making a paper plate peacock with your kids but you actually don’t have very many paper plates left? 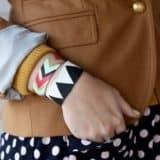 Cut them in half and try this design by I Heart Arts n’ Crafts instead! 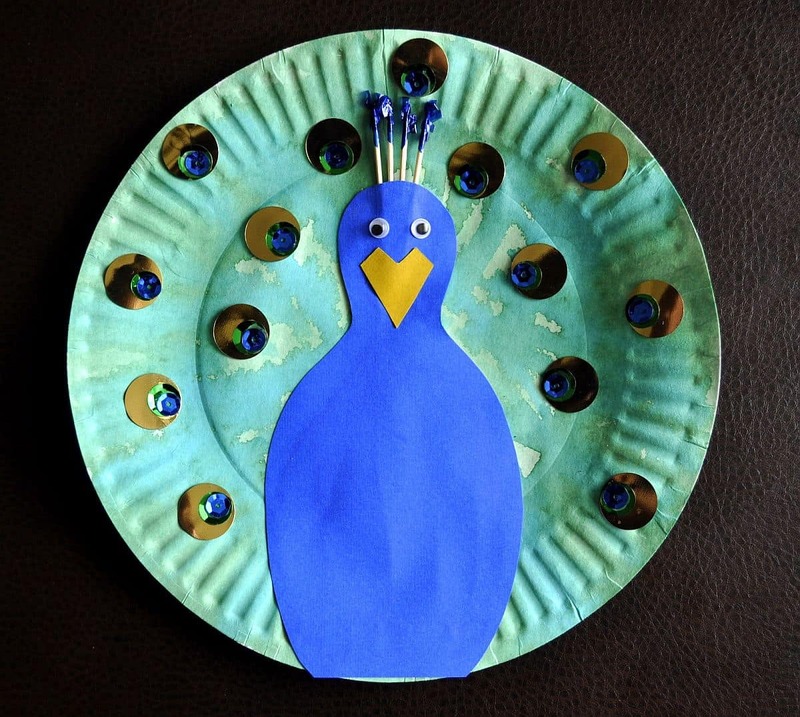 Using half the plate gives you a flat bottom edge, letting you cut a slit and slide the plate over a cardboard peacock body so the bird actually stands up. 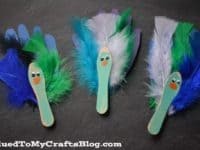 Artsy Craftsy Mom shows you how to make the ultimate flashy peacock puppet on the end of a poposicle stick! 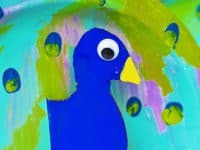 Between the glitter paper, the sequin details, the sparkly pipe cleaners, and the use of actual feathers, we’re almost jealous of this little bird’s style. Have you ever noticed that if you face it a certain way, a classic sea shell kind of looks like a fanned out peacock tail? 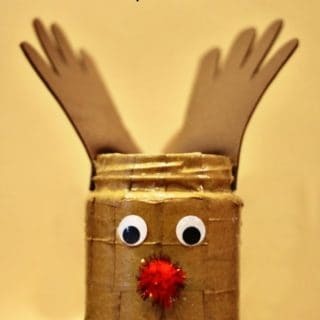 Well, it’s okay if you haven’t because Crafty Morning noticed it for you. 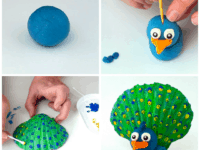 Make a little bird out of Play Dough, Plasticine, or modeling clay and stick your painted seashell tail right on the back. 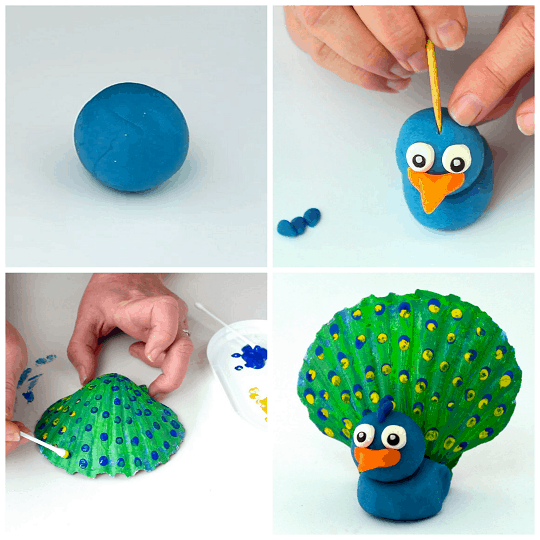 If you plan to leave the clay bird to try rather than reusing the clay later, consider actually gluing the seashell tail on so it doesn’t fall off as the clay dries. 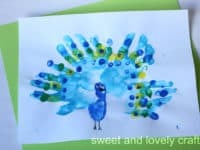 Have you and your kids ever made hand print turkeys around Thanksgiving time? 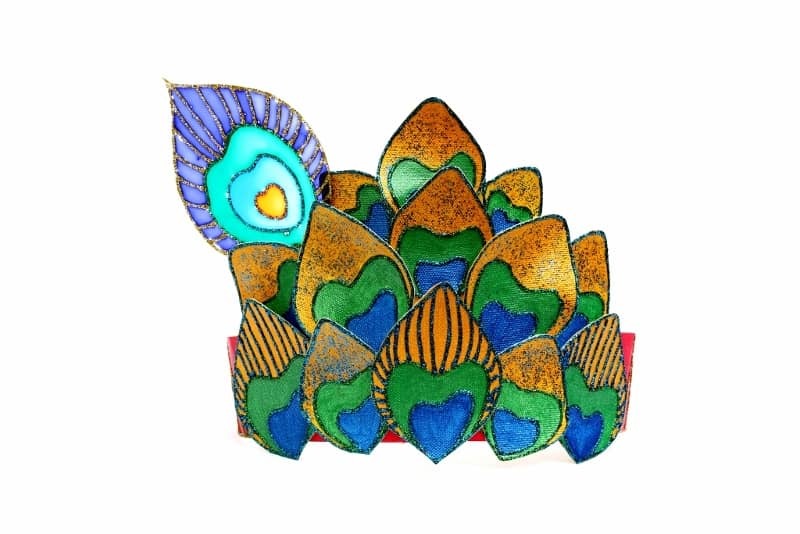 Well, tracing your fanned out fingers works really well for making a peacock tail too! 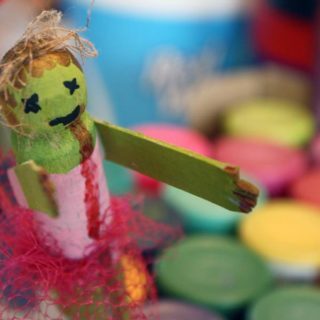 Made the body out of little painted ice cream spoons and add some feathers for extra pizzazz, just like Glued to My Crafts did here. 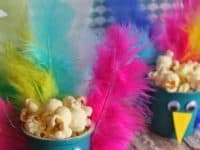 Has celebrating Krishna Janmashtami with your family always given you and your kids a special appreciation for the beauty of peacock feathers? Then they’ll absolutely love the idea of wearing a peacock feather crown, even if no real feathers are actually involved! Artsy Craftsy Mom guides you through the process of constructing, colouring, and glittering this pretty little head piece. 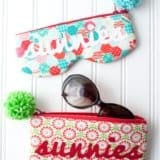 Coffee filters make great crafting supplies because so many of them come in a pack. 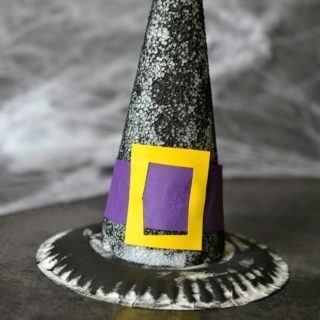 kids are also always excited to draw and painted on something a little unconventional rather than their regular paper. 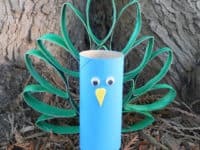 Cut the body of the bird out of construction paper and make the coffee filter the tail, painting it however you choose. 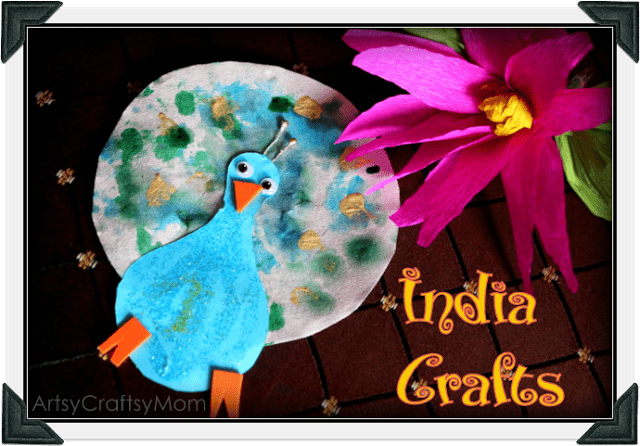 We love the almost water colour effect that Artsy Craftsy Mom achieved here! 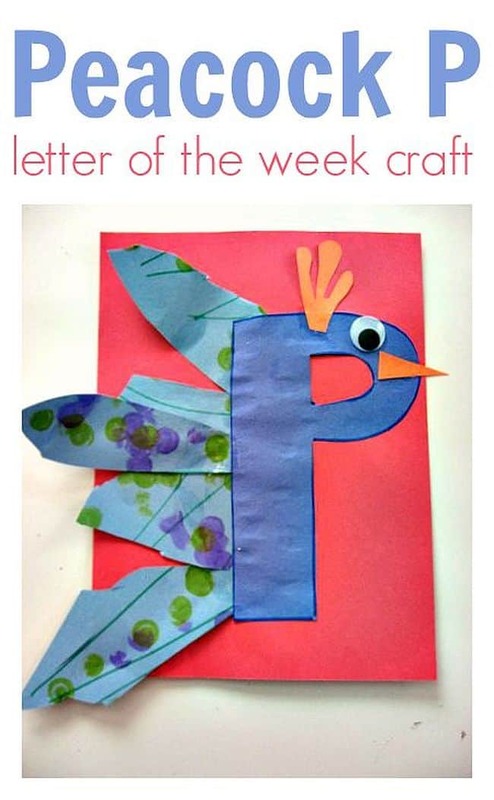 Have you been trying to find letter themed crafts in order to teach your kids about letter sounds as a lead up to reading? 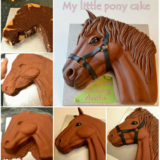 Perhaps they’re still learning the alphabet and they need an image to associate each letter’s sound with? 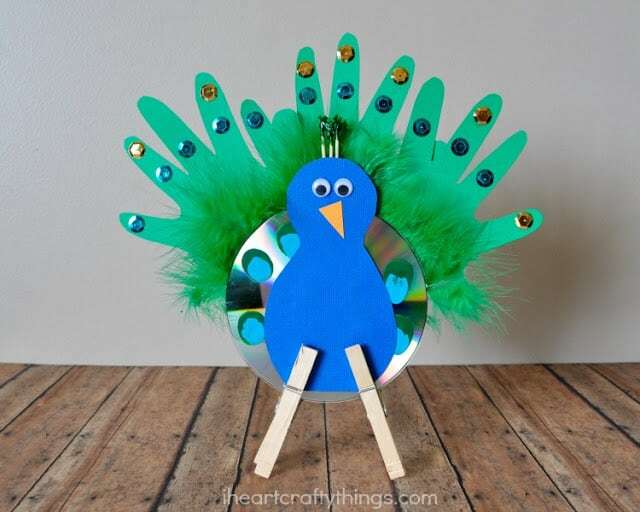 We love this cute idea from No Time for Flashcards for turning the letter P into a little peacock, complete with a tail of paper feathers! 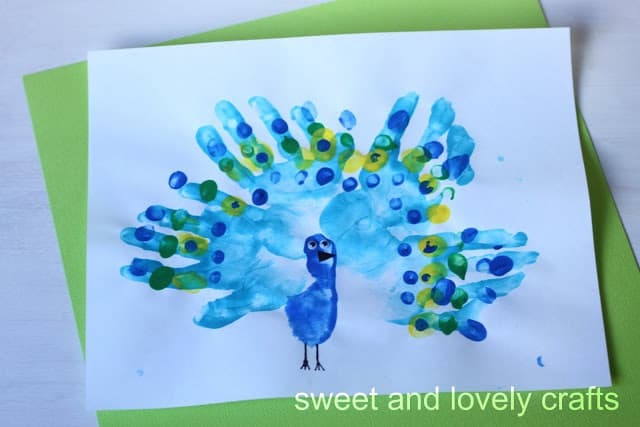 We already talked about hand print peacock feathers made out of paper, and Sweet and Lovely Crafts definitely likes the hand print idea, but they’re version is a little bit more messy! 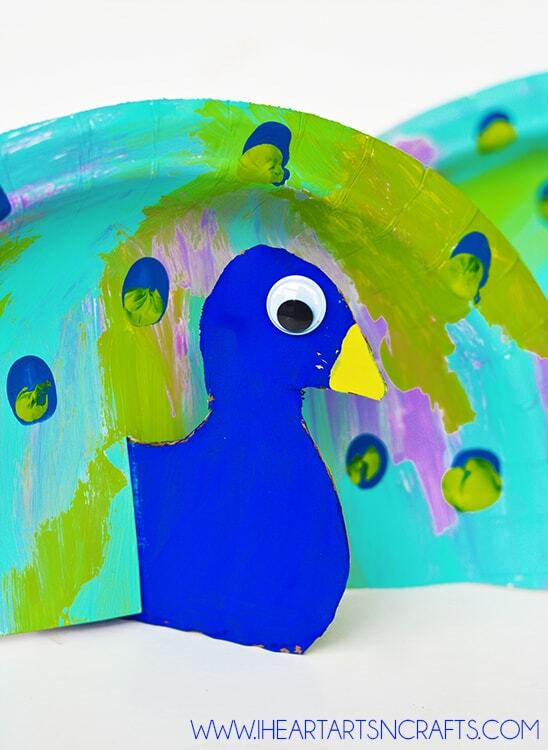 Let your kids take finger painting to the next level by covering their entire hand in paint and stamping their entire hand down on the page so that their fingers look like fanned tail feathers. 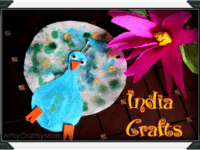 Have you ever seen those lovely wall art collages where leaves and flower petals are made from toilet paper rolls cut into sections, painted, and bend into shape? 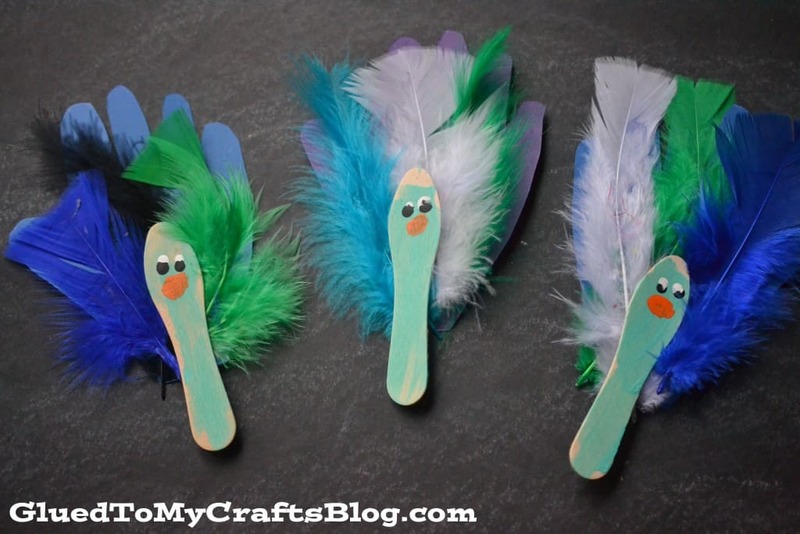 Well, you can do that same technique with your kids to make a peacock tail too! 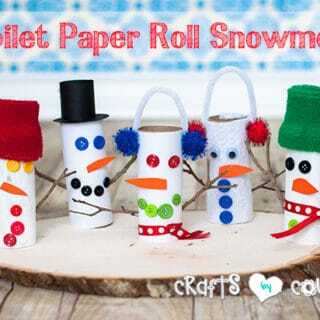 Make the body out of a single in tact toilet paper roll, painted and stuck with googly eyes. 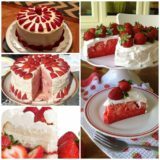 Itsy Bitsy Fun shows you how to make it all happen. 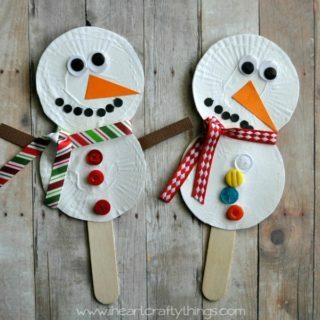 Have you ever made a folding paper fan craft before? If your answer is no, then you should definitely try it because they’re a lot of fun! 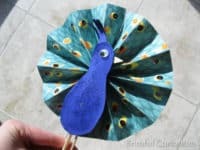 You should also, however, make a little blue peacock body to stick to the front of the fan so that it looks like a peacock tail folding and fanning out when you open and close it! 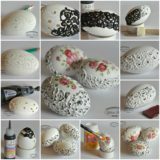 Check the idea out on Brimful Curiosities. 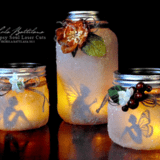 Recycled CDs are useful for so many things when it comes to crafting. 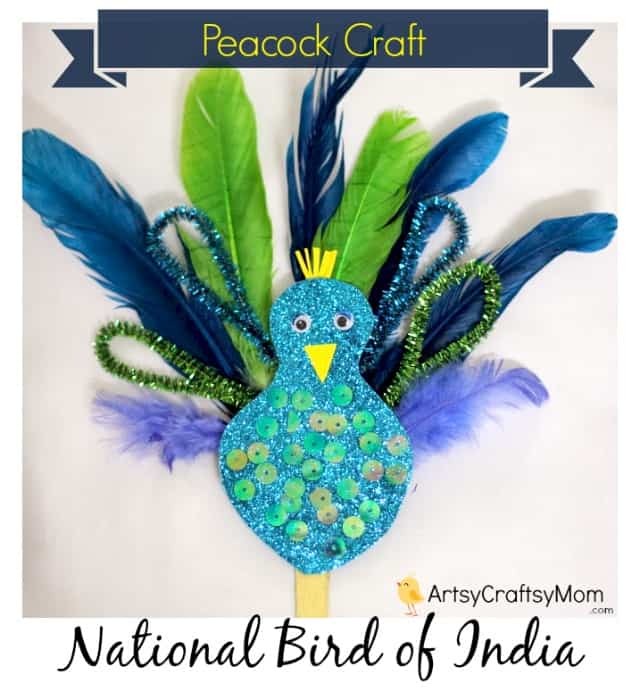 We love the way I Heart Crafty Things used a CD as the body of their peacock, but also like that this craft combines the use of feathers, hand tracing, and upcycled clothes pins too. 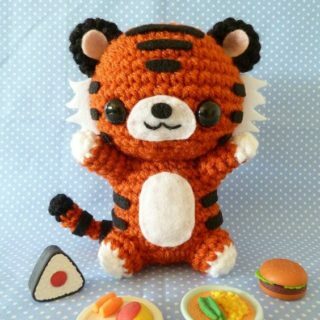 It’s got everything! 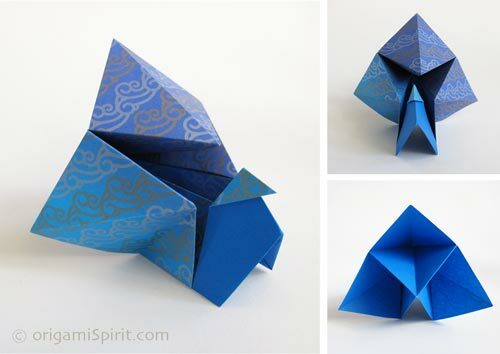 Have you been introducing your kids to the awesome art of origami, one easy project at a time? Then they’ll be excited to learn that peacocks are actually quite easy to fold from paper! 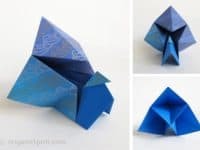 Check out this pattern and folding guide from Origami Spirit. The little plastic cups that your automatic coffee machine uses to brew your morning cup of joe are a surprisingly useful crafting tool. 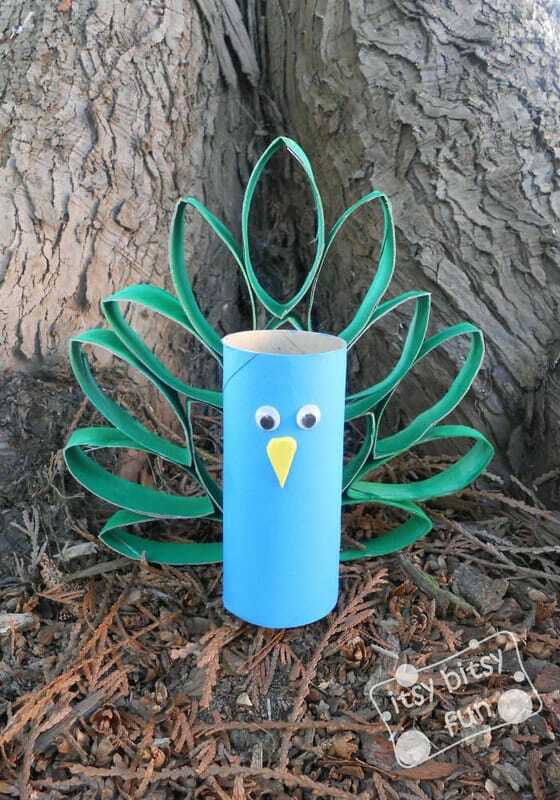 When you’re done making one, empty it out and save it for your kids to turn into bright, feathery little peacocks later! 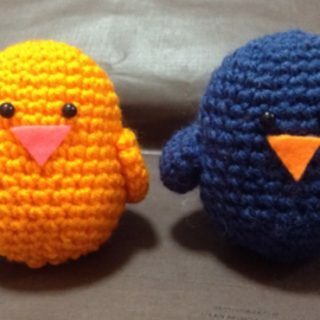 That’s how Divine Lifestyle made these gorgeous little birds.